So this post is a little overdue (it's been a very hectic and exciting few months!) 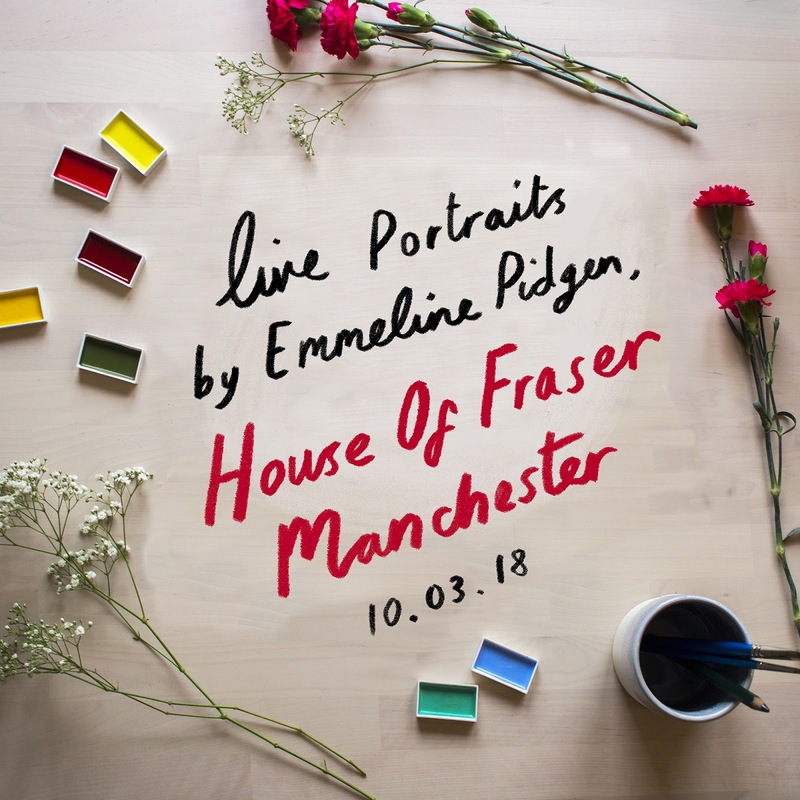 but I wanted to finally show you some of the portraits I drew when I was booked for live illustration at House of Fraser Manchester last March! 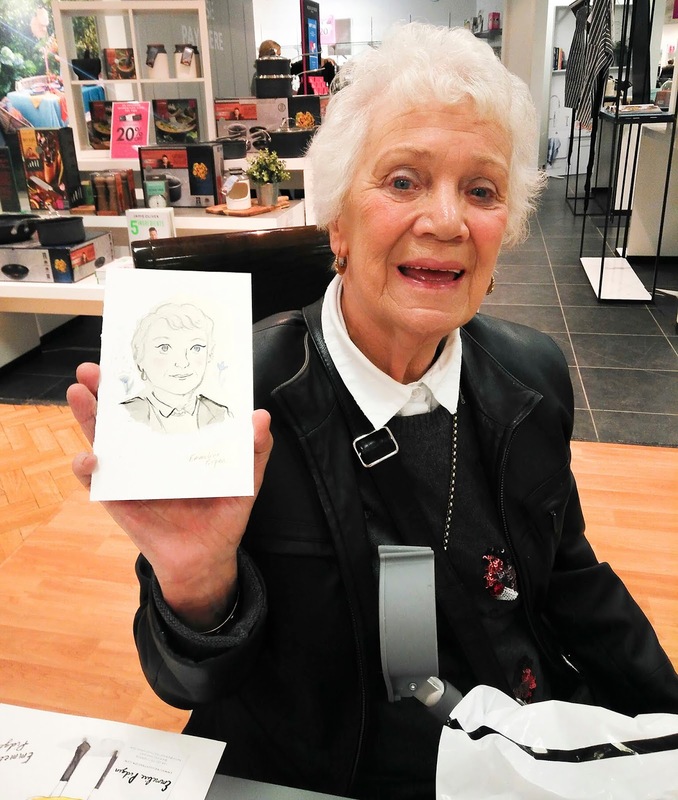 The event was to celebrate Mother's Day, so shoppers could get their own bespoke live portrait (or portrait from a photo!) 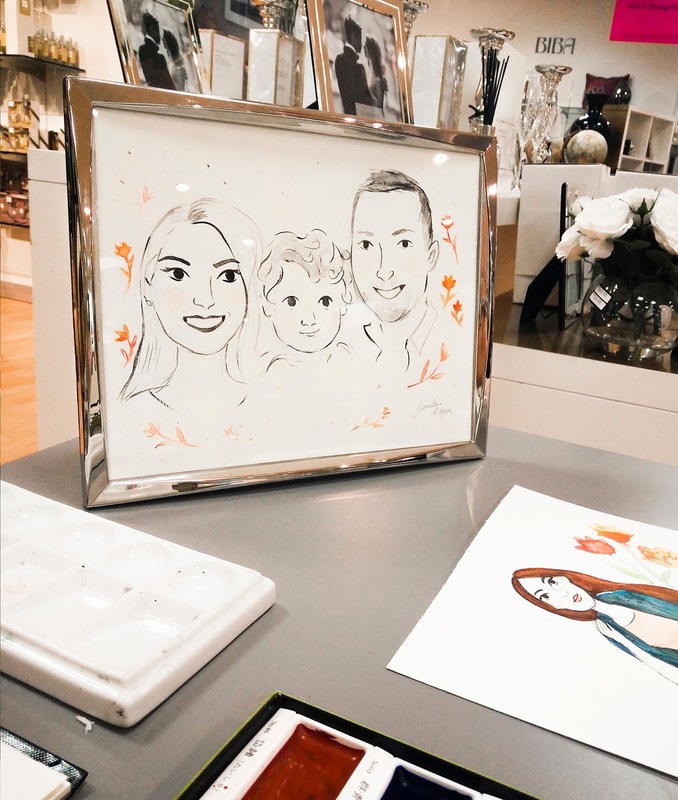 to take home when they bought a frame from the homeware department. I had lots of young families having portraits painted for their mums, gifts for friends and even the fabulous Doris who was celebrating her 80th birthday that day and wanted a special portrait (how amazing is she?!). 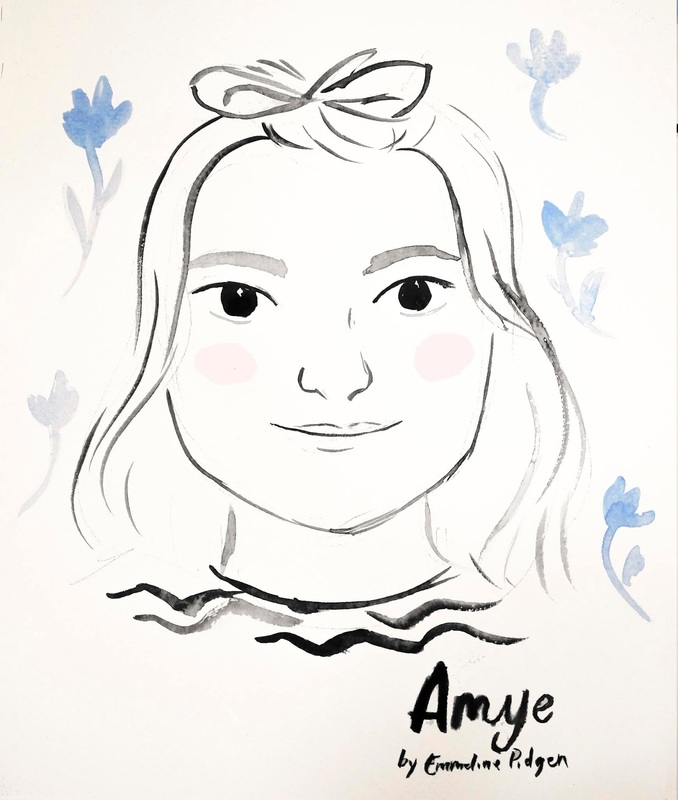 I love creating live illustration instore, it's definitely hard work, but it's amazing to see how thrilled people are with their portraits, and brilliant to see a unique selling point for instore shopping! 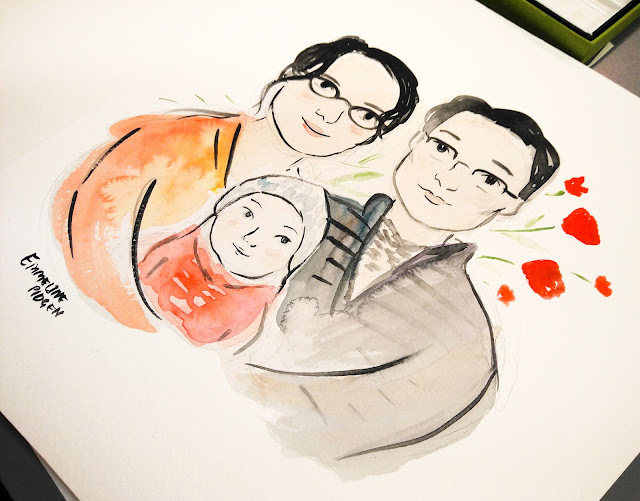 I assigned 15 minutes to each portrait, and blocked it out into slots to make it manageable throughout the day (six hours of drawing is intense!). 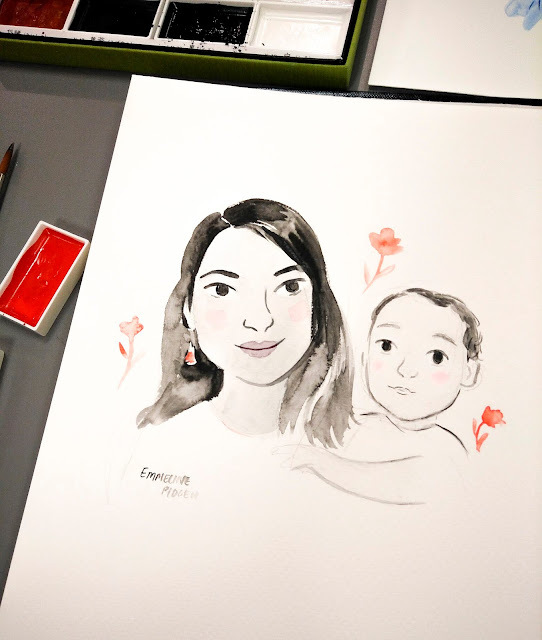 I love the challenge of drawing a sitter when they're right in front of me, it's a great opportunity to hear interesting stories, meet new people, and get in some good life drawing practice! Huge thanks to LiL Collective for bringing me on board! Hopefully I'll have some new live illustration dates for you soon, or if you'd like a portrait yourself head to my family portrait Etsy listing!